Do you enjoy eating a lot of food or like tasting lots of different dishes at the one sitting? 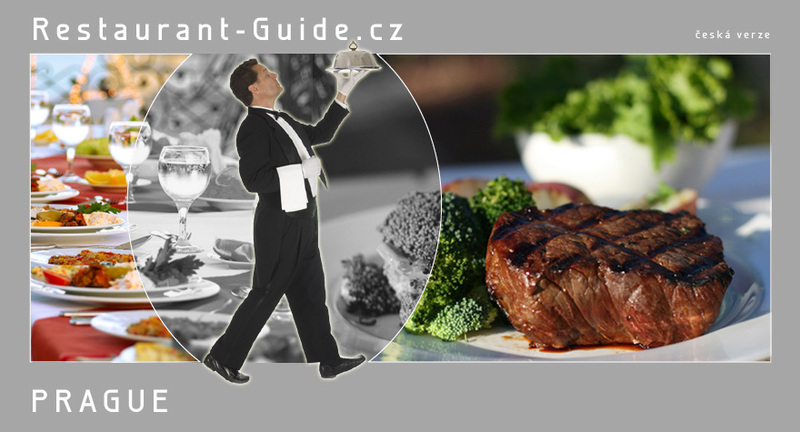 Then our list of some of the restaurants in Prague that offer "all you can eat” with a wider selection of dishes is just for you. 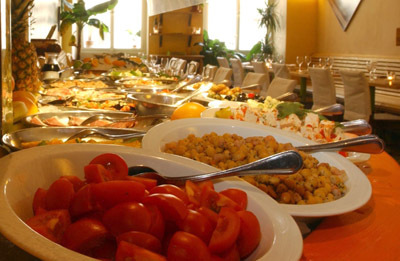 The most common option of eating as much as you want for a fixed price at restaurants or various types of social event is the hot and cold buffet. However, some places also offer grilled meats or all you can eat of a certain type of dish. Drinks are either included in the price or another charge is added per person. This type of eating out is known in restaurants all over the world as “all you can eat” and has become very popular indeed. Another way of serving dishes at restaurants in the “all you can eat” spirit is brunch, but that is the subject of another article entirely. Here we rather concentrate on other restaurants in Prague. 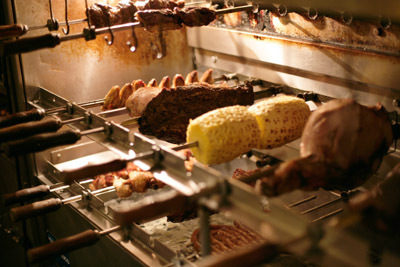 Ambiente Brasileiro is a Brazilian restaurant and steak house. 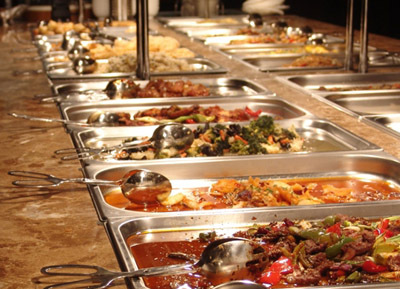 It serves a variety of grilled meats, mainly beef, and a wide selection of delicacies as part of its cold buffet. For example, you might like to sample the following treats from the cold buffet selection: Parma ham, smoked salmon, grilled, marinated aubergine, peppers, wild mushrooms, seafood salad, olives, Brazilian soups, vegetables, fruit, sushi and much more. The selection of grilled meats includes the very tastiest cuts of beef, for example beef fillet in Parmesan, leg of beef, shoulder and sirloin coated in sea salt, silverside, ribs and cupim, or hump of bull, with herbs. In addition to beef they grill breast of duck, chicken hearts, lamb sausages, suckling pig, mussels, fish, octopus and prawns and serve magnificent grilled pineapple or banana. 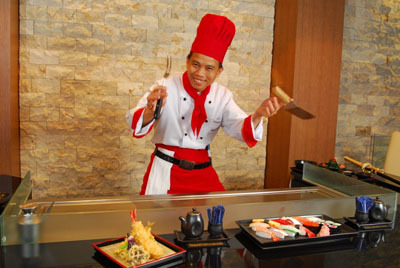 Japanese restaurant Made in Japan offers the chance to enjoy unlimited quantities of Japanese specialties every Wednesday. 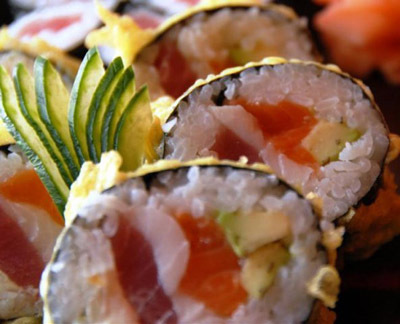 The selection includes various types of sushi and special rolls, halibut in tataki sauce, roasted meats, noodles, fish, soups and salads. 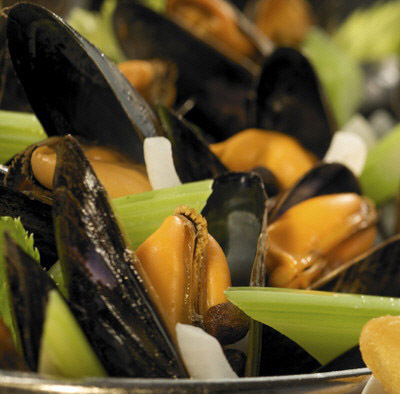 Belgian restaurant Les Moules, which specialises mainly in mussels, offers all you can eat mussels for a fixed price, meaning that you can try out up to ten different ways of preparing these delicacies: in white wine and celeriac, for example, or in Belgian beer. The recommended accompaniment, as in Belgium, is a plate of French fries. The restaurant offers a wide selection of special Belgian beers that are certainly worth trying. An experienced beer sommelier is on hand to help you make your choice.